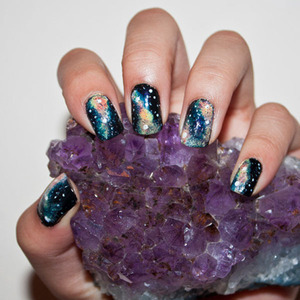 We’re all made of stardust, but have you ever thought of painting it onto your nails? 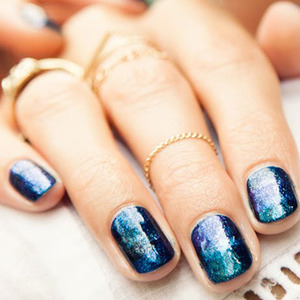 With the latest galaxy nail trend, it’s easy! These designs are cool and futuristic, and the realm of artistic possibilities is as infinite as our universe. 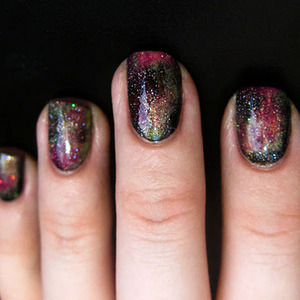 From nebulae to the Milky Way, we show you how to put the cosmos on your fingertips. We love the starry, galactic effect of this design. 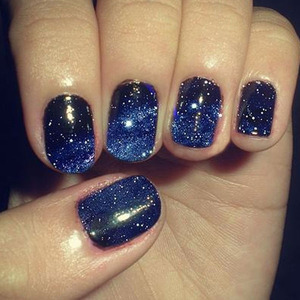 First, gradate your nails from blackened blue to sapphire, then splatter on various sizes of “stars” for a three-dimensional effect. This spacey marbled design is reminiscent of turbulent, spiraling planetary winds. Mix frosted navy, teal, and silver, and layer the colors for an unpredictable effect. The vibrant gases in nebulae inspire incredible color palettes. 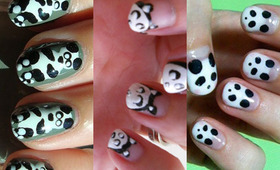 Over a black base, sponge on peach, coral, mint, and turquoise with a cotton swab, then paint precise white dots for stars. 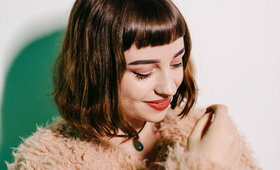 Seal your manicure with a glossy topcoat for stellar shine. Myriad colors exist in the universe, so play with the whole light spectrum! 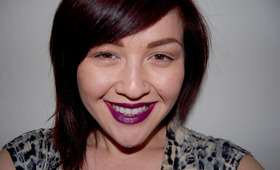 Mix glittered, multitonal shades of burgundy, bronze, and lime for the effect of cosmic dust. Apply the colors in concentrated areas to simulate interstellar gases in the night sky.